Installing an EV Charging Station or Solar Panels in Your Home? Home / Electrical Services / Thinking About Installing an Electric Vehicle Charging Station or Solar Panels in Your Genesee County Home? All this is changing, however, as advances in technology and competition have brought down the prices of solar panels and electric vehicles quite considerably. If you live in a home with high energy costs, or if you are someone that has a long daily commute (and therefore high fuel costs), then one or both of these purchases could be a good choice for you. 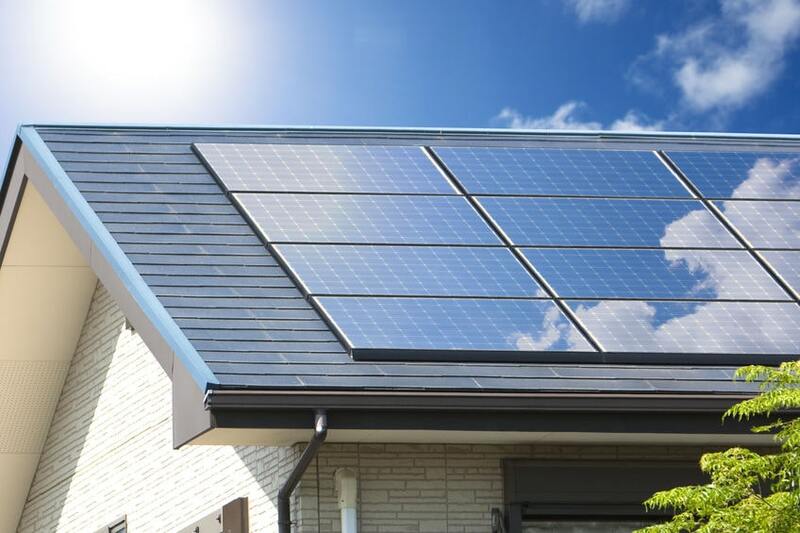 At Electrician Express, we don’t sell solar panels or electric vehicles, but if you are considering either one of these purchases, you should call a Flushing electrician before you do. The reason for this is that you may need an electrical panel upgrade to accommodate your new solar panels or your electric vehicle charging station, especially if you live in an older home. Older homes often have a 60-amp electrical panel, while a 200-amp panel is the standard for most newer homes. Upgrading your electrical panel to accommodate things like solar panels or electric vehicle charging stations may not mean completely replacing your current system. If your main circuit breaker panel is large enough, an electrician may be able to just add a sub-panel in your garage, or somewhere else in your home, to increase your load capacity. Before our electricians make any recommendations to you regarding your electrical panel, they can conduct an electrical load calculation to determine how much electricity you use in your home, and whether or not your current system has room to handle added solar panels or and electric vehicle charging station. If an upgrade is needed, our electricians will recommend the most cost-effective solution that will work for your home. We won’t try to sell you something you don’t need. We’ll give you an honest evaluation of your current system and let you know what upgrade is needed (if any) to bring your home up to modern standards. Even if you aren’t considering adding solar panels or an electric vehicle charging station to your home, you may want to look into upgrading your electrical panel. Older homes were not built with today’s energy usage in mind. If your home was built before things like computers, microwaves, or central air conditioning were standard and you’ve never upgraded your electrical panel, it might be time to consider doing so. Contact us at Electrician Express if you would like an electrician to come out to your Genesee County home to do a load calculation, or for any other electrical need you may have. "Electrician Express installed three ceiling fans for us and they work great! They are quiet and they have helped us lower our electricty bills over the last few months!"